For tourist and native alike, New York City offers more choice, diversity and style of cuisine than any other city in the world. It’s a utopia of sensory experience for the millions of diners who visit and frequent the thousands of eating establishments located on every street and avenue. From fine dining to the street cart vendor, choices are abundant, but ask any proprietor of an eatery, bistro, café, diner or restaurant will tell you it is no easy task keeping the lights on and the doors open. Ultimately there are significantly more failures than successes in the NYC restaurant business. There are countless pitfalls and sometimes even the most minor infringement can be the kiss of death to a restaurant whose very foundation encompasses the heart, soul, blood, sweat, and tears of its owner. 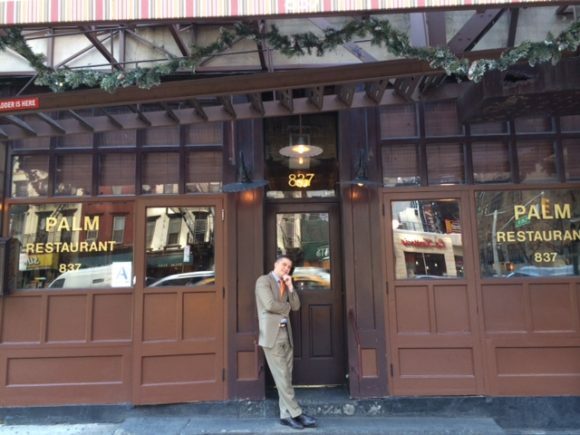 When you realize the odds against the success of a restaurant in New York City, it imparts a greater appreciation for some of the more iconic establishments that have weathered everything that the city has thrown at it, and the original Palm Restaurant is a prime example. Established in 1926 and still operating in its original location at 837 2nd Avenue, New York, The Palm lays claim to a success and longevity that is unprecedented, especially in the playing field of fine dining which typically holds higher standards and expectations. The original Palm is an establishment that is so successful it now boasts 28 other locations throughout the country, as well as an additional couple of international locales.